We at Stop and Store love giving deals and promotions to our valued customers. Here is where you will find the terms and conditions for each promotion. • When your move in date is not on the 1st of the month you pay the standard rental rate pro rated for your 1st month. • You then receive month 2 and 3 at the 50% off prepaid. • If you have taken insurance this will be prorated for the month you move in and prepaid for the duration of the promotion. • If you move in on the 1st of the month the prorated move in month is not applicable and Promo 2 would be applied. 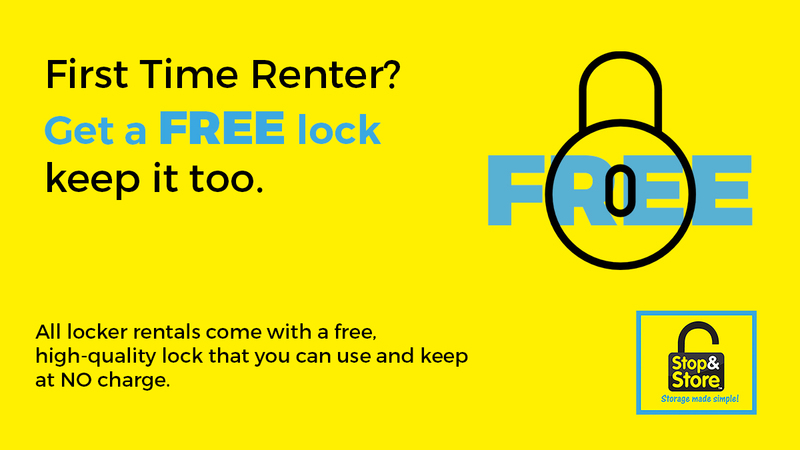 Get a FREE high quality Lock & Key when you rent for the first time with Stop and Store Penticton.